Structure Core is equipped with a sophisticated suite of optics plus an onboard IMU. It’s the perfect solution for adding 3D sensing to cutting-edge devices like robots, drones and AR/VR headsets. But it’s also perfect for something else — 3D scanning! 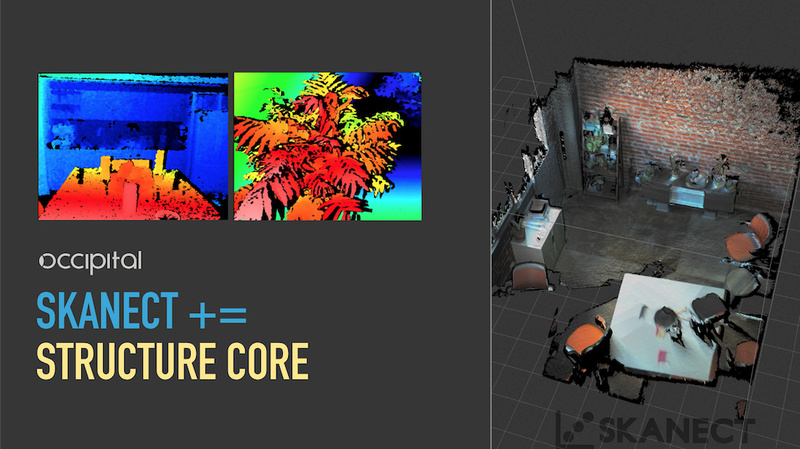 With our latest update to Skanect you’ll now be able to generate high fidelity scans using Structure Core. We’re introducing a new “3D Scanning Bundle” with Structure Core, Skanect Pro, and a tripod mount. And we’re offering introductory $100-off pricing. That makes it the same price as a standalone Structure Core! Find it on the Structure Core store. Learn more about Structure Core support and all the latest features on the Skanect blog. We’ll also be hosting a webinar tomorrow (Friday), April 12th at 11AM PT. In this webinar we’ll be introducing Skanect to new users and going through a live demo of object and environment scanning. The scanned models will then be processed using Skanect’s internal editing tools, and exported for use. We’ll be answering questions live during the webinar itself, with a dedicated time slot for Q&A.